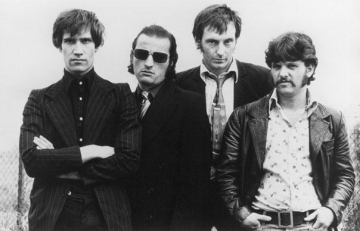 Dr. Feelgood are a British pub rock band formed in 1971. Hailing from Canvey Island, Essex, the group are best known for early singles such as "She Does It Right", "Roxette", "Back in the Night" and "Milk and Alcohol" . The group's original distinctively British R&B sound was centred on Wilko Johnson's choppy guitar style. Along with Johnson, the original band line-up included singer Lee Brilleaux and the rhythm section of John B. Sparks, known as "Sparko", on bass guitar and John Martin, known as "The Big Figure", on drums. 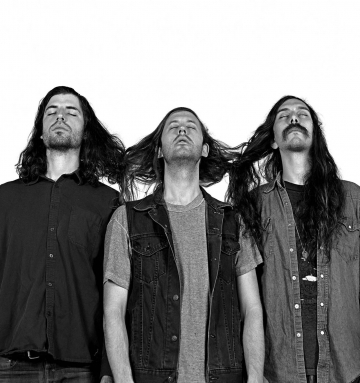 The heavy-rock trio Dommengang hail from a little bit of everywhere. Guitarist Dan “Sig” Wilson has been gigging around the Pacific Northwest psych scene for years now, occasionally sitting in with Castanets and Scout Niblett, among others. With roots in Oregon and Alaska, drummer Adam Bulgasem and bassist Brian Markham settled over in Brooklyn, roughly 3000 miles away from their bandmate.